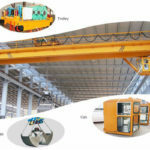 When you choose suitable overhead crane for business, the overhead crane work can show the different operation method. In conclusion, our cranes adopt the simple structure and good operation. 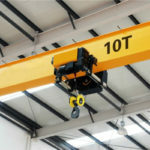 Overhead cranes can be used in the warehouse, workshop, factory, industrial, shop, and other lifting equipment places. Many cranes have the separate track to run this traveling crane. Some have no track to help the type to move. The crane can be installed in the limited position. 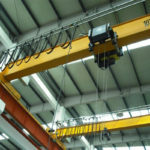 They can be adjusted including the height and span of crane, traveling speed and other parts. 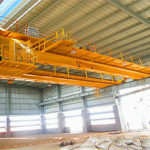 Single girder traveling crane has light weight and simple structure. If you want to lift small objects or materials, you can choose reasonable size to lift your objects. 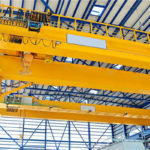 Most of single girder cranes work indoor, which avoids the outdoor harsh environment and temperate. These cranes are the ideal solution for serving several working areas at the same time. The single girder crane loads are up to 20 tonnes. According to the clients’ preferences, we can customize the reasonable cranes. If you want to learn detail price and design model, please get in touch with us as soon as possible. Double girder traveling crane has strong structure and heavy duty weight. 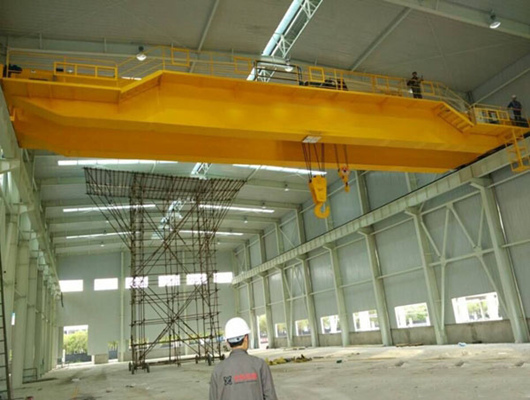 In addition, are you looking for the overhead crane with safety and reliability? Our company traveling crane can meet your requirements. The type can allow the efficient material handling with load capacities. When you choose explosion proof crane, it can work in harsh environment. 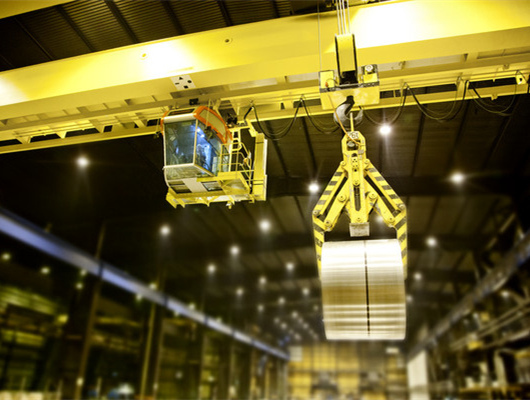 If you choose foundry overhead crane, it can work at the temperate of the +60 degrees. It has compact structure. 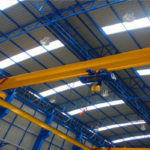 The overhead crane usually installs in the minimal safety clearance between top of crane and factory roof. It is possible to make full use of the available height and to reduce the cost of the building and save the steel structure. 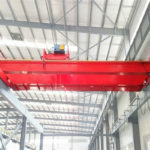 The range of single girder travelling cranes includes a variety of girder connection versions for highly versatile adaptation to the space and dimensions available. The compact design of these units allows very high hook positions. The new building and ideal solution, we can provide the customers with various types and a wide variety of accessories for many different special applications. In addition, it is equipped with sturdy section. The single girder traveling crane can be equipped with identical but also with differing girder connection versions for each track. In this way, we can completely allow highly flexible material handling. 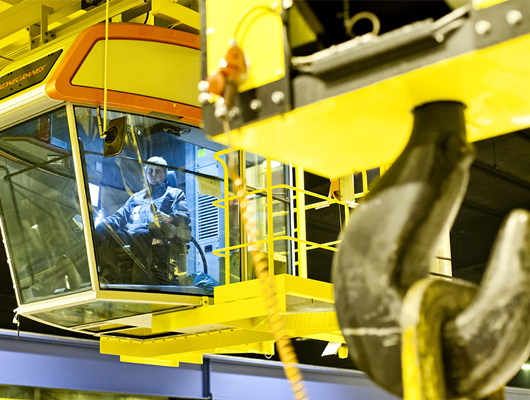 Through long term research and development, we design ideal solution for new lifting equipment. 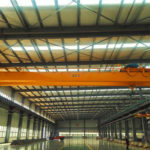 Overhead crane working principle has strictly standard and operation method. In addition, bridge cranes are mainly powered by electric power, which is usually operated in the driver’s cab and remotely controlled. For heavy-duty bridge cranes, the universal coupling is often used for the drive unit for easy installation and adjustment. The crane operating mechanism generally only uses 4 active and driven wheels. If the lifting weight is large, it is common to increase the wheel to reduce the wheel pressure. When there are more than four wheels, a hinged equalization frame device must be used to distribute the load of the crane evenly on each wheel. In our company, you will find out many different types and tons. Of course, the working class is different for each crane. However, the crane working class is different. Single girder working grade is common A3-A4. Some cranes is A5. 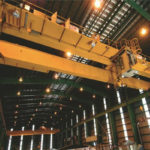 for large or double girder overhead crane working class is A6 to A8. If you want to learn detail working class for the equipment you want to get, please get in touch with us as soon as possible. We will give you reasonable and detail information. We can offer the detail crane parameters. Please get in touch with us as soon as possible.